Looping manoeuvre with two bullet-cameras and Yamaha R6 for two-channel video installation; Red Flag version, Alex Monteith from Alex Monteith on Vimeo. Looping manoeuvre at Taupo Racetrack with a Ducati 996... from Alex Monteith on Vimeo. Dual-channel video installation with stereo sound, 8 meters x 3 meters, 17mins (new work). Front and rear simultaneous views of 12 laps pf Taupo Motorsport park until a bike-crash produced the Red Flag calling all riders off the track. Action is leaving pits, track laps, return to pits following the red flag, where a number of riders break the no-passing on a red flag ruling. Alex Monteith is the rider. Dual-channel looping cycle, 8 metres x 3 metres, 9 minutes, stereo sound. 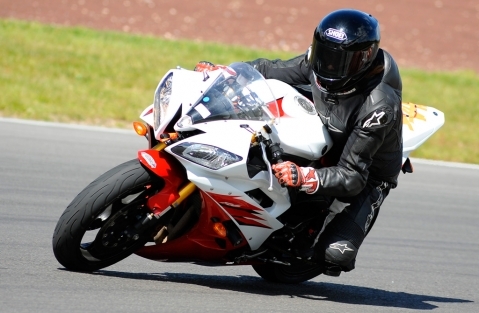 Recorded at Taupo Motorsport Park, Taupo, New Zealand at MotoTT track day Feb 2008. The on-board bullet cams are mounted front and rear facing on a Ducati 996s and recordings are made at up to 260kph. Alex Monteith is the rider. Recorded at Taupo Motorsport Park, Taupo, New Zealand at Kiwibiker track day October 2007. The on-board bullet cams are mounted front and rear facing on a Ducati 996s and recordings are made at up to 260kph. Alex Monteith is the rider. g.nz/exhibitions/2008/youarehere.asp?artwork=441">Part of You Are Here group exhibition curated by Ariane Cra ig-Smith, Feb 2007.